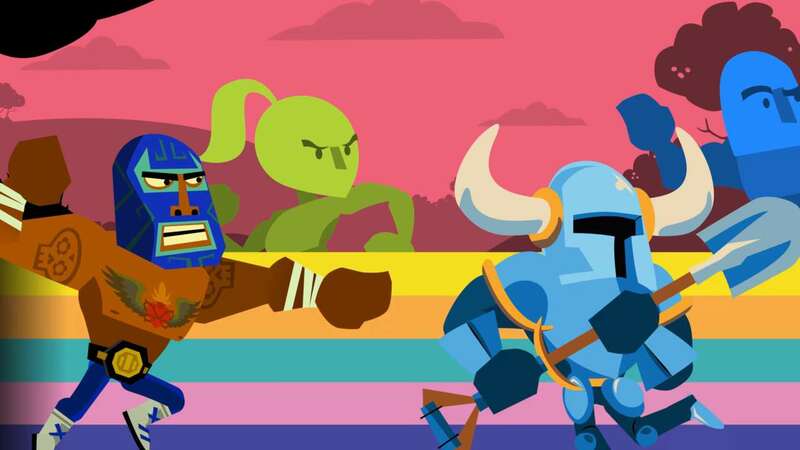 Runbow review – Crazy 9-player fun! Alright Wii U owners, I know your pain. We were all hoping this Fall and Winter season would be full of great Nintendo goodness like last year, but that’s just not happening. 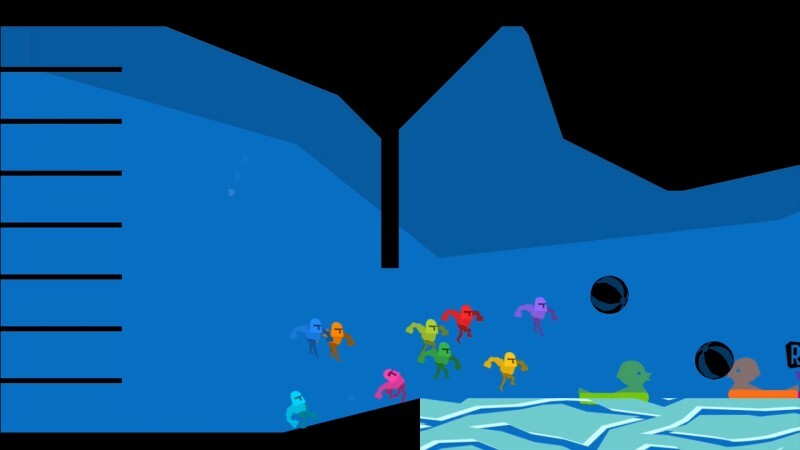 However, if you’re looking for a game to play with a large group of friends and family that isn’t nearly as difficult as Super Smash Bros. but just as crazy, Runbow by 13AM Games might be your saving grace. In case you couldn’t tell by the name, Runbow is a 2D platformer that centers around color in a way that I’ve never seen it pulled off before. In the levels, the background continues to change color via sideswipe in order to blend in with floating platforms and obstacles of similar colors. Simply put: if it’s the same color as the background, then it’s not there. If you think that doesn’t sound stressful, try it when there are multiple colors onscreen, or when you’re jumping up a waterfall with different shades of blue. I’m impressed with this change in color-palette feature; it adds a whole new level to the platforming experience and only makes it more entertaining when playing with friends. 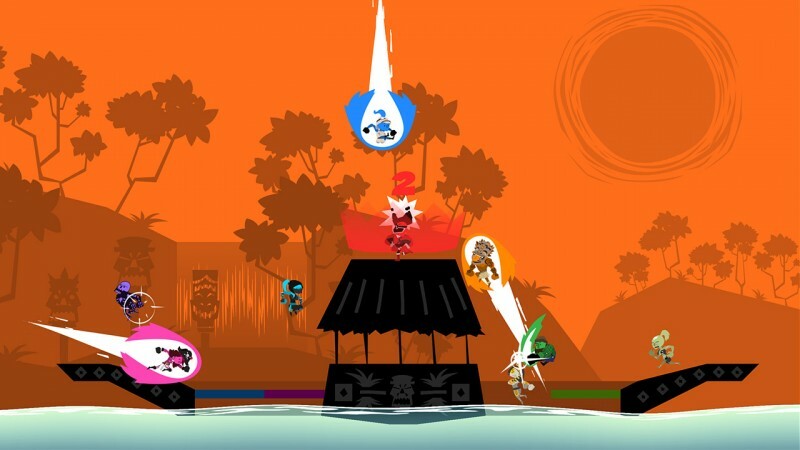 Get this: Runbow features four multiplayer modes allowing up to NINE players! This is possible by featuring every single controller option available for Wii U (except traditional GameCube controllers). Say you have a Wii Remote and Nunchuck, one person can be on the Remote while another on the Nunchuck because all you need are two buttons. I wouldn’t recommend using that little piece of plastic though because it’s tough to control with one hand; just find a classic controller and hook that up to your buddy’s Wii Remote. I unfortunately wasn’t able to gather eight other players because I have no friends, but I managed a couple of good four-player sessions and they were absolutely fun! If you’ve ever played the New Super Mario Bros. games with friends, chances are you’ve had some fun messing with them by picking them up, jumping on them, etc. 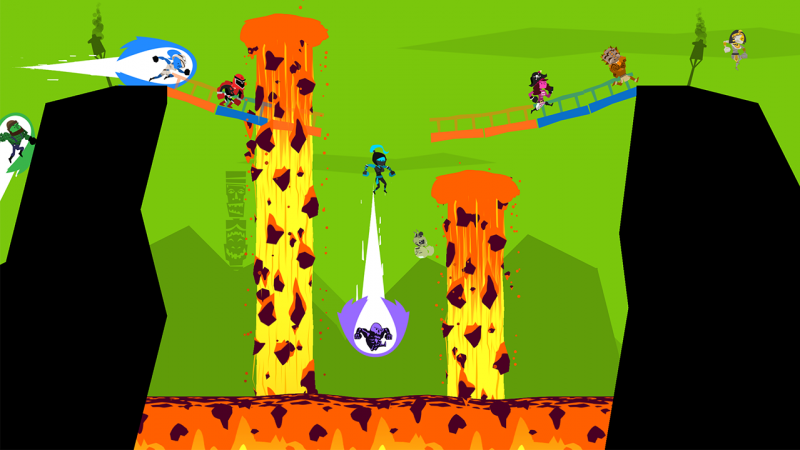 Runbow is centered around that: screwing over the other player(s). One of the modes is simply called Run and the goal is to make it to the finish trophy by any means necessary. Punching opponents to stun them is a viable option but the real fun happens when power-ups come into play. They sit in random areas on the stage and some powers are expected like speed boosting and one-hit KOs, but some do the most like flipping the view upside down and switching positions with another player which could benefit you or set you back. One time, I got a switching power up and as my opponent was about to land on the finish trophy, we switched places! It was sweet, sweet victory at its sweetest. If racing doesn’t tickle your fancy, Arena is how I like to describe it: Super Smash Bros for dummies (not to insult those who don’t understand Smash’s complex nature). The goal is to knock the other players off the stage. Punches only stun opponents and knock them back a few feet, but that’s okay because most deaths occur by accident and lack of focus as the background still changes color making platforms vanish. King of the Hill is another mode that requires players to fight but this time for some territory. The most interesting mode is ColourMaster, where the person with the GamePad is in control of the color palette and items that will hold back the player. I felt so evil as I zapped my friend with lightning mid-jump over a bottomless pit! I tried playing all of these modes online and I only managed to achieve three Run matches with 5 players maximum. It was smooth most of the time, but one of the ten rounds lagged insanely to the point where nobody moved at the very beginning. Needless to say, I wouldn’t recommend this game for online play. Adventure Mode is basically the games campaign which I played by myself, but you can cooperate with other players. Playing in single-player is sadly a less exhilarating experience because you don’t get the exhilaration of having someone else by your side to exchange smack-talk with. Completing these levels will unlock special characters from various indie games. This is already the third comparison I’ve made between these two games, but Runbow is kind of like Super Smash Bros. for independent game characters. Characters like Shovel Knight, Juan from Guacamelee!, Commander Video from Bit.Trip Runner, and more! It is very pleasing to see these characters get some representation outside of their own games. I don’t even remember how many times I’ve said the word “fun” in this review, but that’s just the word to describe Runbow! Despite its lackluster online and underwhelming single-player functionality, this is a must have for Wii U owners and Indie gamers alike. It’s a great value for the $14.99 price tag and also a great one to play with your family this Thanksgiving!